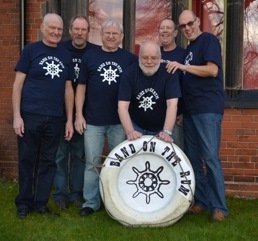 Guaranteed to persuade you into a party mood with much foot tapping and banter, Band on the Rum are acknowledged performers of traditional shanties and other songs of the sea. 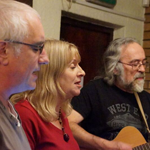 Usually unaccompanied, the band knows how to belt out stirring shanties or soothe with easy on the ear nautical songs. 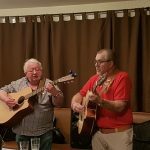 Occasional humorous or moving songs on other subjects are also in Band on the Rum’s repertoire to provide an engaging mix for a variety of audiences. Individually and as part of other bands, Band on the Rum members have been energetic folk and shanty singers for over 30 years. 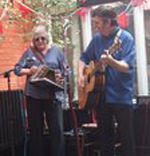 Dragonhead are a talented duo offering an eclectic mix of traditional & modern folk with a big slice of Cajun. 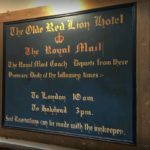 They use the word ‘eclectic’ without shame as their first recorded tracks were on a promotional compilation in association with other local artists and was indeed an eclectic mix of traditional, modern, unusual & new material.